Can Tooth Loss Cause Depression? 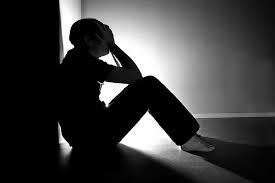 Depression is a serious illness affecting an estimated 19 million American Adults. Depression is a mood disorder in which feelings of sadness, loss, anger, or frustration interfere with everyday life for weeks or longer periods of time. People who experience dental anxiety tend to skip regular dental maintenance which can lead to tooth loss and other health related illnesses. What people are beginning to realize is that the health of your teeth have a greater impact on your body than what was originally thought. A recent study shows that people who experience dental anxiety and skip dental visits may end up being depressed based on the ensuing poor dental health or tooth loss. The information comes from a study explained at the 43rd Annual Meeting and Exhibition of the American Association for Dental Research at West Virginia University. The results showed that 13.4 percent of participants had some kind of anxiety, 16.7 percent dealt with depression and 5.7 percent had total tooth loss. The participants included the same number of males and females, in addition to including all types of races. The good news is, depression based on tooth loss can be avoided by regular dental visits with your dentist. The office of Glasscock Dental specializes in Stress Free Dental which is tailored to help a patient deal with dental anxiety. Also, if you have already experienced tooth loss, it’s still not too late for you to correct. With the advancement of dental crowns, bonding and other dental procedures, Glasscock Dental can give you that award winning smile that you dream about.